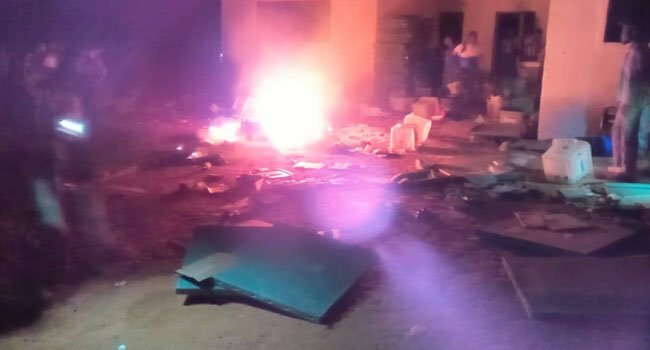 INEC Resident Commissioner in Osun State has debunked reports that the electoral body’s office in Jebu-Jesa, in Oriade Local Government Area of Osun State was burnt in the early hours of Sunday. Mr Segun Agbaje, said contrary to the claim, some Yahoo yahoo boys invaded the INEC office in the area and destroyed a power generating set and other materials. “We gathered that the Yahoo yahoo boys attacked the INEC ad hoc staff for calling them yahoo yahoo boys. Mr Agbaje said the boys chased the staff into the office and destroyed the items in the process. He debunked the claim that the INEC office and ballot boxes were burnt during the attack.